Cats REJOICE! 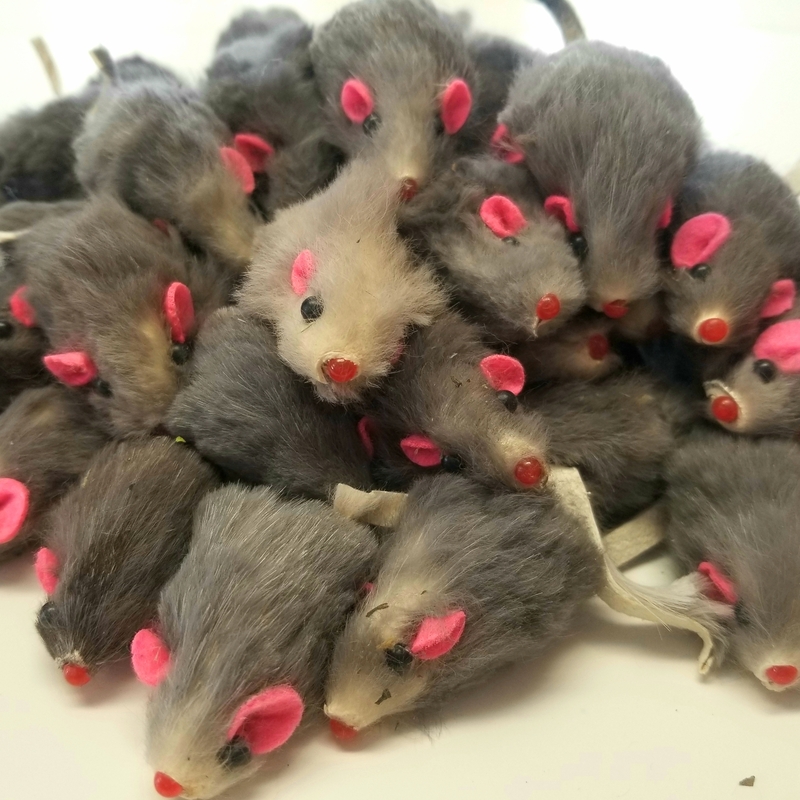 Marinated Mice are back in stock! Mice now come with a rattle ( a small pebble placed inside that drives cats WILD!) MEOWZA! Our Rabbit Fur Mice are imported and the fur used is an Asian food by-product. Marinated Mice are packaged here in Maine and marinated in our own Dr. Pussums Fancy Feline Elixir Catnip. 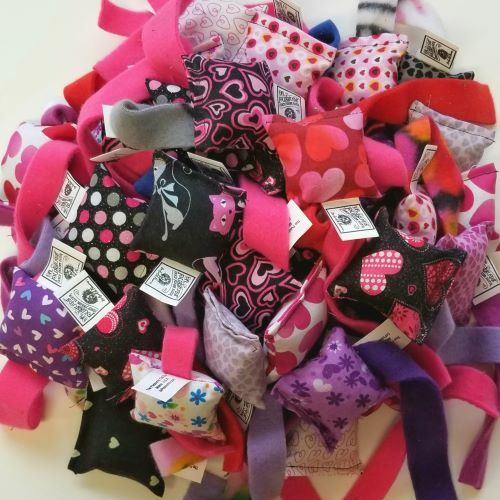 Dr. Pussums Featured on The Grommet! Dr. Pussums in Pet Lifestyles Magazine! 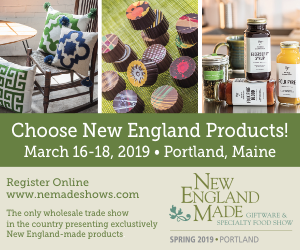 Wholesale Business Trade show featuring ONLY New England Made Products! If you are a buyer you do NOT want to miss this show! Catch Dr. Pussums PURE CATNIP Toys in Booth 312! Show Specials revealed soon! HINT: It will make you say MEOWZA! Just in time for Valentines Day are the WICKED cute Toss Abouts and Party Packs! LIMITED EDITION! Get them while supplies last! Inventory Clearance Sale! Pretty PAW-LEASE don’t make us count it!!! Enter Coupon Code MEOW at checkout now through Friday December 28th at 5pm for 10% OFF your entire order! 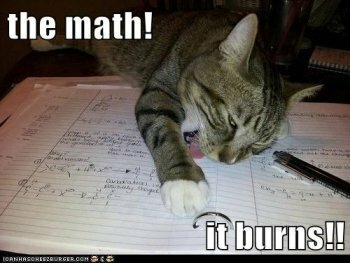 Math is for the birds! Wicked Kick-Ah Nip WILD NEW FABRICS! Ferocious Felines across the US now have a new favorite, the Wicked kick-Ah Nip! They love them SOOOO much we are now making them in 13 Wild and Crazy Fabric Options! ONLY $9.99!!! If you have a particularly feisty feline ( you know who you are) the extra Heavy Weight Sky Blue Polka Dot is for you! Here is to hours of kicking fun for you and your felines! I love Dr. Pussums there is no other! My cat went crazy rolling on the invoice, since I had to hide the box for Christmas. We have more cats than is reasonable or sane. Everyone has their specific likes and dislikes and the only thing they agree on is Dr. Pussums. They can smell it through the bag. My cat is going crazy over these fun catnip filled items. I ordered the Wicked Kick-Ah and the Kick Nip. My cat is 14 years old and is acting like a kitten. My cats LOVE the stuff. I have been a customer for many years, and I love the nightshirts, and the kitty pads! The sacks keep them busy for a long time! Marinated mice are a favorite for a evening snack! The nickel bag is great for spreading cheer around on the cat scratchers, and trees! All of my cats loved them! I would travel almost two hours to get them! I love Dr. Pussums because my cats and my dog love them so much! Only toy all three of them will play with! It is very amusing to watch a pup, play with a cat toy! Also the quality and durability is fantastic. My cat Chloe was actually chewing the package before I got home. If you love your kitties get them some Dr Pussums and they will love you for it!! My cats love them! They can smell the nip through the box! They act like kids on Christmas morning when a box arrives! I still will only buy Dr. Pussum’s catnip for my kitties. I especially love that it’s not only made in America but made in Maine…my home state! I always recommend it to all my cat loving friends because it’s pure catnip – no dangerous fillers. Best catnip ever!! I’d gotten my cats the small bags in the past. I ordered the new Wicked Kick-Ah nips and my cat CJ went bonkers over it! I swear I thought I heard him say “I love you” to his tie-dyed kicker. The bags last and last because there is no filler or fluff. One of my cats had never reacted to catnip and was never a big fan of toys. 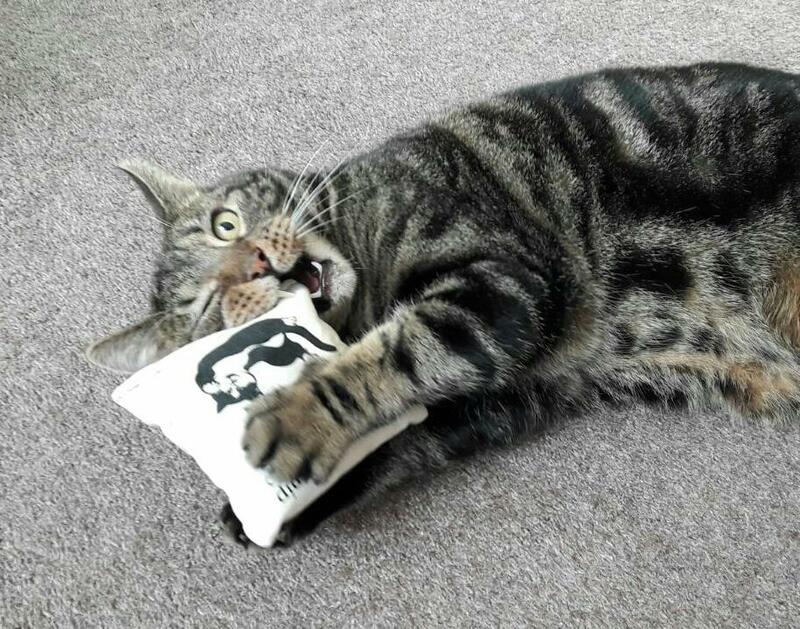 I was given one of your catnip sacks and he loved it! They have been a constant in my house ever since. I highly recommend Dr. Pussums for your fur family. So much better than the ones you find in the stores. 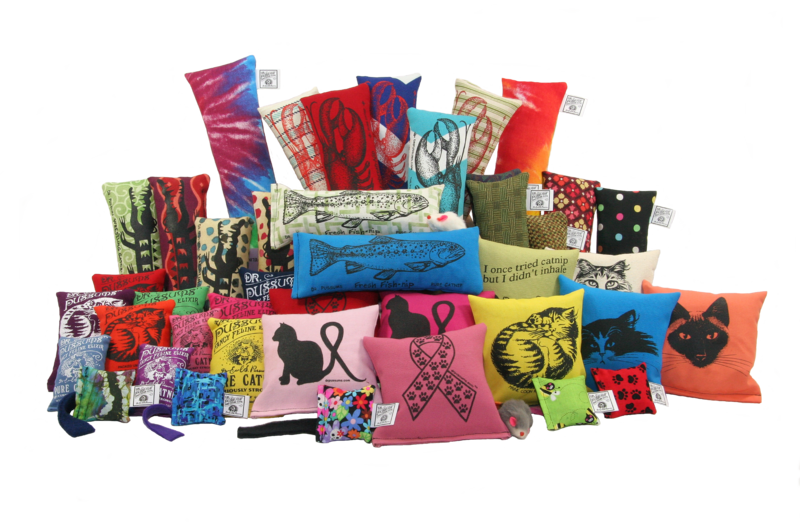 The Pussums Cat Company is continuing Pussums Pals Project of Hope. We will be collecting donations for The Dempsey Center of Lewiston, Maine. Please help us bring happiness to your kitties and HOPE to our community by purchasing these very special products! Cats Like Us! You Should Too . . . Copyright © 2019 The Pussums Cat Company. All rights reserved.